Sorry, we have cancelled this course — but please read about it, and help us shape the Slow Living Leadership Institute by attending this breakout session during the Summit. Are you interested in Slow Living? Do you want to start a Slow Living movement, or hold a Slow Living event, in your community or place of work? Do you want to learn tips to live and lead your life more Slowly? If your answer is “yes,” come join the Founders of Brattleboro’s Successful Slow Living Summit and two leadership and sustainability instructors from Marlboro’s Managing for Sustainability MBA to learn more about how to live and lead Slow Living yourself. In conjunction with the Slow Living Summit, we are proud to offer a course in “Slow Living Leadership for Sustainable Change,” taught in conjunction with the Summit at Marlboro College Graduate School by Cary Gaunt, Ph.D., and Beverly Winterscheid, Ph.D., with the option of obtaining graduate-level academic credit. The fee for this course includes full Slow Living Summit registration. The course may be taken for-credit or on a non-credit basis. Credit options include one hour or three hours. The Slow Living Leadership Institute kicks off its programming with this short-course run in conjunction with the 2013 Slow Living Summit. Course participants will integrate the solutions-focus of the Summit with leadership training to implement Slow Living initiatives in their own communities and organizations. Interested in launching a specific Slow Living Initiative in your community or region? A 3-credit course option, will provide the personal and tactical guidance for the transformation of your communities and organizations to a more environmentally just, sustainable, and flourishing future with effective “inner” and “outer” practices that you can take home and apply to the creation of Slow Living events and initiatives in your community or region. Three credit-hour registrants will complete additional coursework with the instructors after the conclusion of the Summit, on a schedule to be arranged for mutual convenience. Tuesday evening (June 4, 2013): Arrival, informal meet and greet, time and location to be announced. Wednesday evening through Friday (June 7, 2013): Institute registrants participate in the Slow Living Summit, except for selected luncheons and maybe evening gatherings for the Institute. Friday (June 7, 2013): As part of the Summit’s closing Plenary, we honor the Institute graduates with a certificate ceremony. The Slow Living Institute concludes on Friday at the same time as the Slow Living Summit. Three credit-hour registrants will complete additional coursework with the instructors after the conclusion of the Summit, on a schedule to be arranged for mutual convenience. Help us spread the word — download, print and post this PDF flier for the course! WHAT IS THE SLOW LIVING LEADERSHIP INSTITUTE? 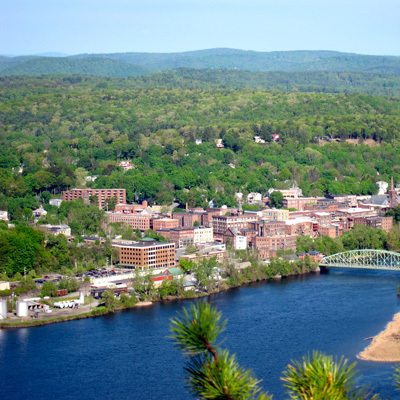 The idea for a Slow Living Leadership Institute arose from participants at the annual Slow Living Summit in Brattleboro. They commented on the richness of community-based sustainability and local economy initiatives presented at the Summit, and asked, “How do you do it?” and other questions like, “How can we start a Slow Living movement in our communities, but most importantly, in ourselves as leaders?” “How do we integrate Slow Living principles in our schools and work places?” “Is there a Slow Living start-up toolkit? Course registration fees include registration for the Summit, June 5-7. This initial offering can be taken for non-credit professional training or for one and three graduate credit options as described above, endorsed by Marlboro College Graduate School. Participants will also be eligible for future participation in leadership classes at Marlboro College Graduate School that focus on personal, team and organizational leadership. 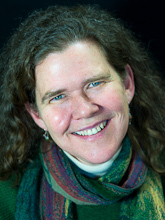 Cary Gaunt, Ph.D. focuses her leadership, management, and academic lens on supporting the cultivation of sustainable and thriving people and places. For more than 22 years she led sustainability and watershed management initiatives as a consultant to governmental and non-governmental organizations under the auspices of JRB Associates/Science Applications International Corporation (SAIC). She left her management role at SAIC in early 2000 and switched to a consulting status so she could pursue her Ph.D. and focus on the leadership and human behavior dimensions of sustainability. Cary’s government sustainability and watershed consulting work remains core for her even as she broadens her leadership and technical expertise to other arenas such as higher education, where she is currently facilitating the Higher Education Working Group of Boston’s Green Ribbon Commission. This esteemed group of Boston’s leading higher education institutions is charged with developing collaborative approaches to reducing greenhouse gas emissions, expanding sustainability initiatives, and implementing leading edge strategies to address climate adaptation and resilience planning. Cary has a particular interest in the life journeys, qualities, and practices of successful sustainability leaders who really walk their green talk. Through her extensive consulting career, Cary came to understand firsthand the potentials and limitations of conventional responses to environmental degradation and unsustainable conditions. Many of these stemmed from a lack of effective leadership at personal and organizational levels. Cary tries to practice what she researches and teaches. She engages in many nature-based contemplative practices; volunteers as a wilderness rites of passage guide, outdoor educator, meditation facilitator; and supports community environmental committees and local interfaith ecological efforts. 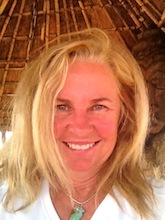 Cary supplements her academic sustainability and leadership training with nature-based approaches and has trained as a guide/group facilitator with the Animas Valley Institute, School of Lost Borders, Contemplative Outreach, and CDR (Collaborative Decision Resources) Associates. She inhabits the eastern foothills of Southern Vermont’s Green Mountains where she is slowly renovating an older house to be a carbon-neutral and net-zero energy home. Please register for the course by completing this form. Please click Submit only once. You will be taken to a PayPal page, where you may pay with a credit card or with a PayPal account. Sorry, this course is cancelled for 2013. Please help us plan for the Slow Living Leadership Institute by attending this breakout session during the Summit.